Since there isn't much to show in my display tank yet here is a picture from my frag tank. 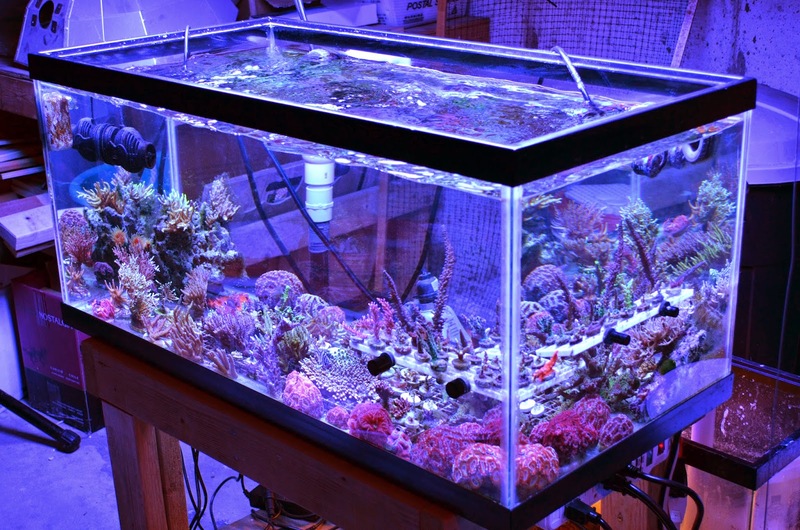 I run four ATI Blue Plus, one ATI Coral Plus, one ATI Purple Plus and two ATI Actinic Plus in a TEK 8x54 watt T5 Fixture. I do not run a protein skimmer but I do have macro algae growing and two fish living alongside a few snails.